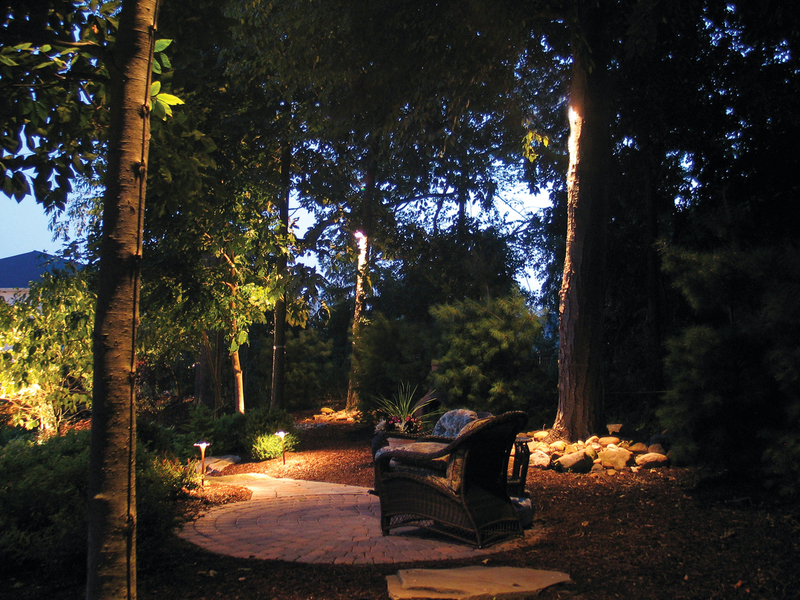 What’s better than a long, sultry evening outdoors, bathed in the glow of the moonlight? 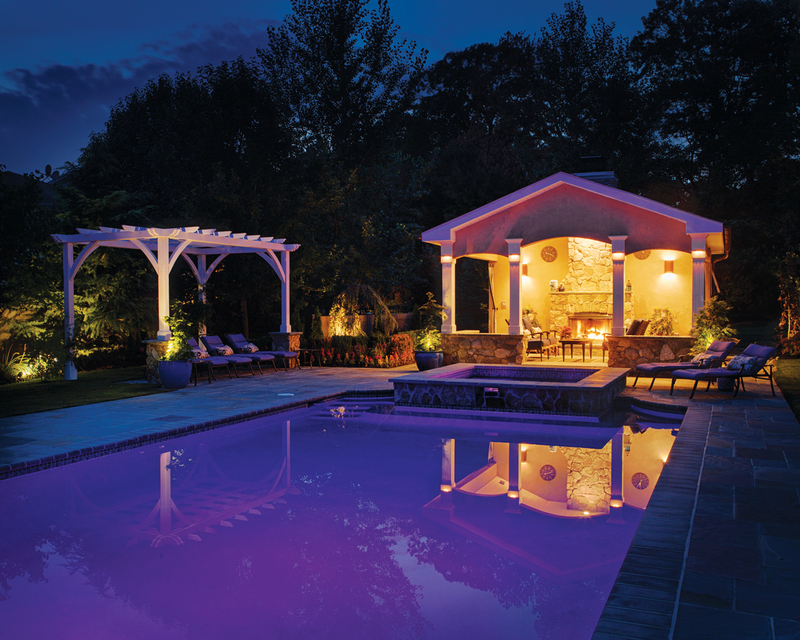 A long, sultry evening outdoors bathed in the glow of just-right lighting, that’s what. 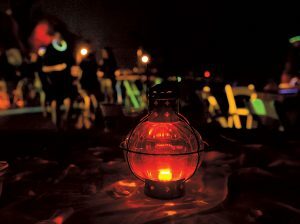 We’re talking about mood lighting, people; it takes a gentle touch and a soupçon of restraint. 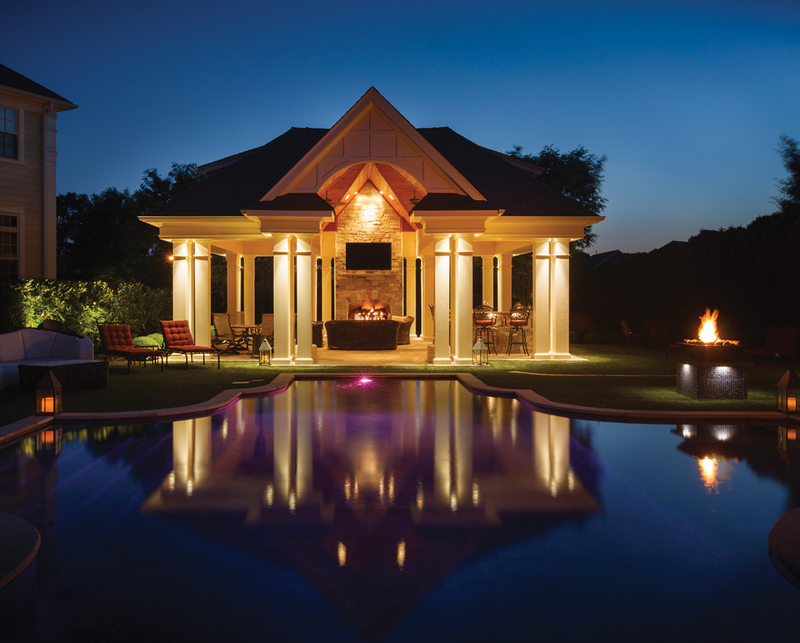 Done well, outdoor illumination enhances the landscape without overstepping its bounds. 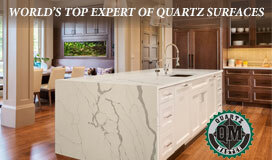 It’s a quiet presence, rather than a jarring intrusion. It’s created with the knowledge that an outdoor soirée is not an interrogation, nor is it a business meeting. Have a glimpse at some lights done right. 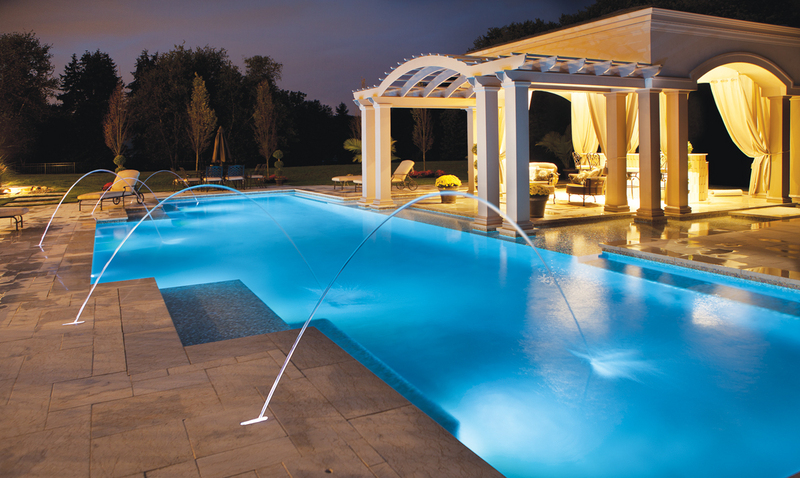 A softly lit pool with glowing water jets—paradise! Can’t see the forest for the trees? A little well-placed lighting will fix that! Concentrate the light where you want it. The rest becomes dreamy background scenery. 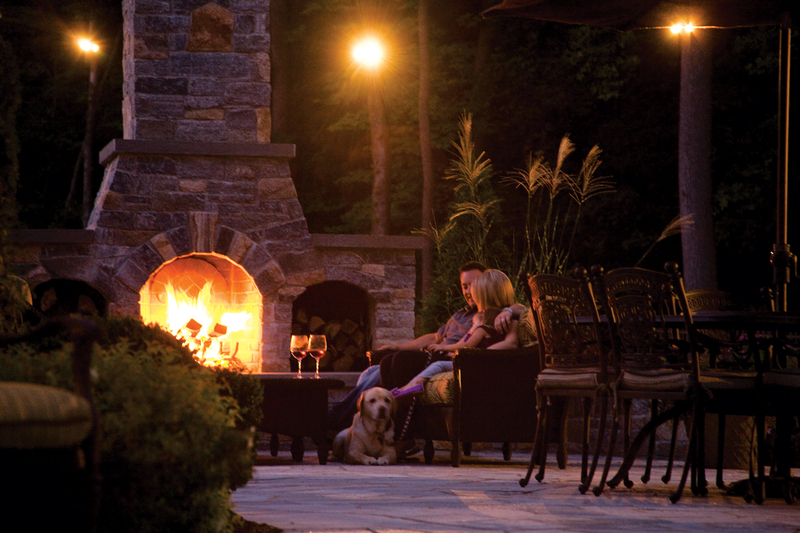 A roaring fire + a glass of wine + strategically-placed lighting = the height of romance! A wall of flame is a real showstopper. 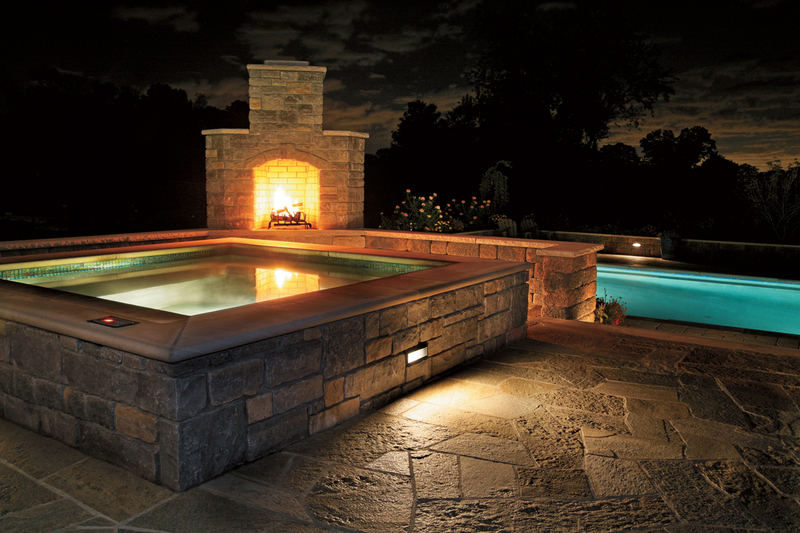 Patio lights reflected in the pool mimic the fire’s flicker. 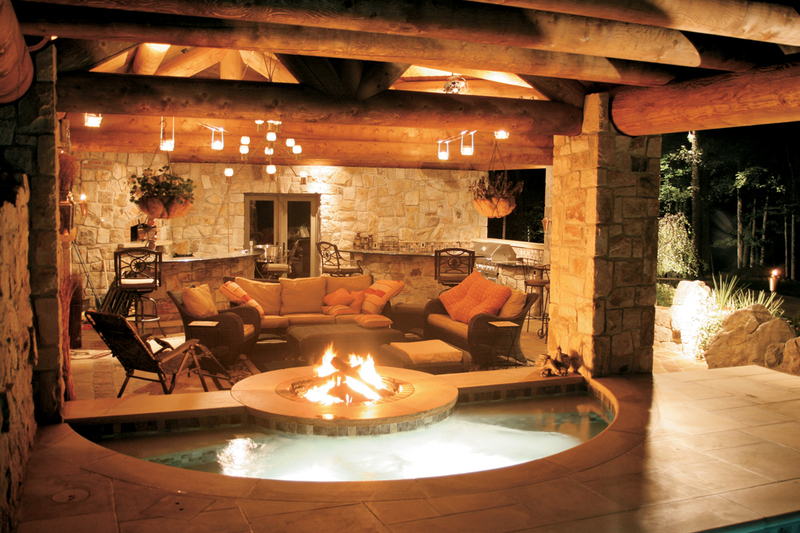 Lights in cozy clusters and a spa-side fire feature create a four-season outdoor space. 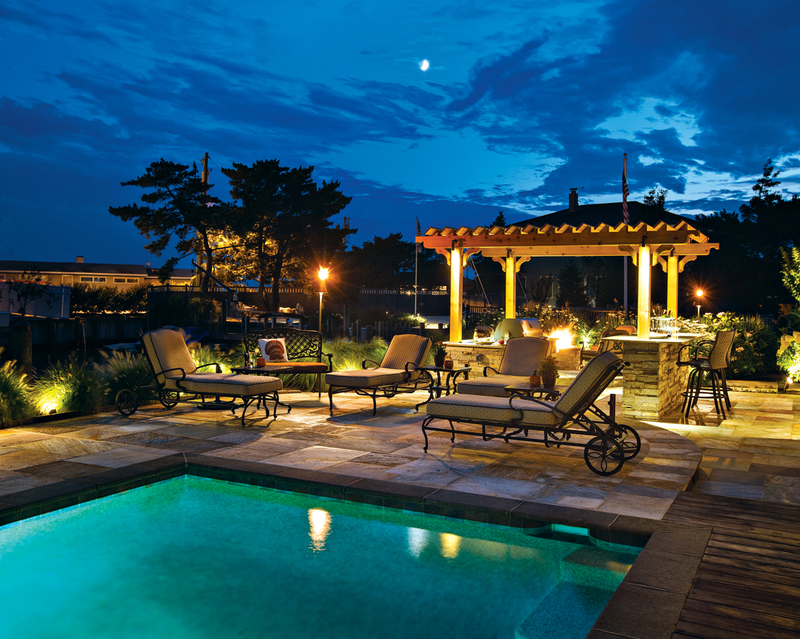 Judicious use of lighting (and fire) focuses attention on the hardscaping. You just can’t create this kind of drama in the daylight.